Whenever someone mentions Sindh and traveling in the same sentence, our minds usually think about Karachi and it’s crowded beaches. Maybe you think of the desert, sometimes even Hyderabad for it’s Bombay Bakery. However, there are a colossal number of places Sindh harbors that are way more exciting than the whole of Karachi. On this island is a Hindu temple, the Shri Ban Khandi Maharaj temple which consists of a huge complex, even housing gigantic statues of Radha and Krishna. You have to take a boat to reach the temple. For those of you who’re interested in knowing about their future, the pandit who lives there for the most part is an accomplished palmist too. Lake Manchar is the largest freshwater lake in Pakistan and one of Asia’s largest. You wouldn’t want to miss it, would you? Believed to be one of the earliest civilizations of the world, the Mohenjo-daro is a wealth of things to see and explore, for travel and history buffs. The complex, extremely developed systems and culture and the still undecipherable language of this community has perplexed archaeologists around the world. Also know as the “Great Wall of Sindh’, this fort is an unanswered riddle because no one knows who originally built the fort and for what purpose. It is also one of the largest forts in the world and for the sheer majesty of its fortification, this place is a must visit. Kalka cave temple consist of a mountainous cave that is named after Kali Mata. The majority of Hindu devotees pay homage to Kalka Devi on the night of first Monday of every month. Surrounded by local bazaars, constantly buzzing with sufi kalaam and devotion, Shah Abdul Latif Bhittai’s shrine is one its kind. 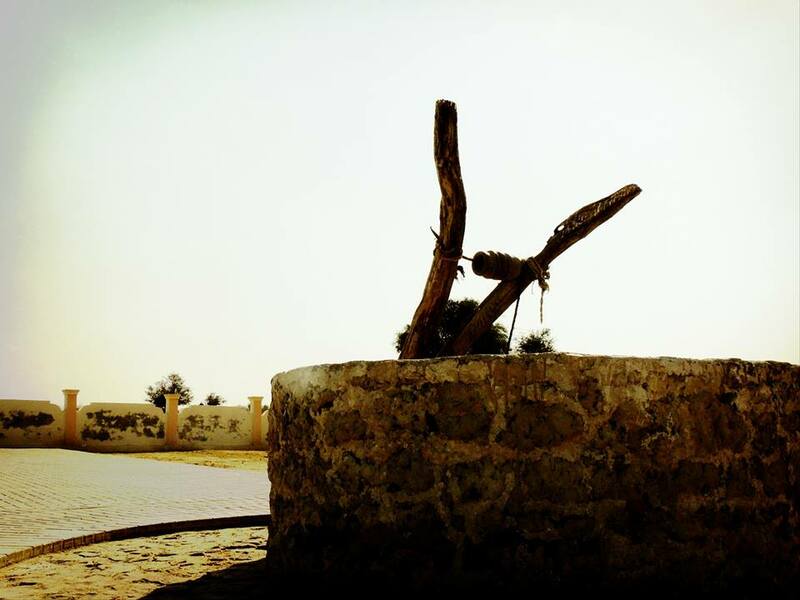 This well has a lot of historic folklore attached to it about a woman who was deeply in love with her land so much so that she chose her people over a life of privileges with a king. Here‘s more about that story. The condition of the temple near the Bodesar Dam, as well as the one located at the end of the Nagaparkar market, is worsening with every passing day, and the carvings of Hindu figures on the temple walls have been smudged to a large extent. Made as a gift for the people of Thatta, this mosque aka one of Pakistan’s most remarkable architectural masterpieces is a must visit for everyone visiting Sindh. Lal Bagh harbors a tree that several centuries old and was planted by Lal Shahbaz Qalander himself. It was eventually uprooted in a storm. Devotees come here and perform a ritual in which they crawl under the tree three times and make prayer. Makli Hill is one of the largest necropolises in the world and it’s a sight to behold. Located on the left bank of the Indus River, Sathiyan is supposedly a burial place of the seven pious sisters who never married. People from all walks of life, believing these sisters have saintly status visit the place and pray for miracles, leaving mannat kay jholay, wild bats and tons of other mysterious things. Those looking for a more modern history of the region would certainly be entertained by a visit to this place. The huge complex housing the graves of the Bhuttos offers an insight into the power, respect and history of one of the most powerful political dynasties of the modern world. One of the main sources of irrigation in Pakistan, this barrage was built during the British Raj and was completed in 1932. The Sukkur Barrage is the largest single irrigation network of its kind in the world and it provides water to most parts of Sindh province. Built in 1798, this beautiful palace complex was supposed to serve as the primary court of Talpur monarchs of the region. After the unification of West Pakistan into One Unit during 1955, the Talpur state was abolished and the place now serves as the home of the last, “symbolic” Talpur rulers. Sindh holds a wide array of beauty and history. From one of the earliest civilizations to one of the biggest cities in the world. It’s a treasure trove for those willing to dare venture the length and breadth of the land.